Lhasa is one of the most "want to visit" cities in the world. 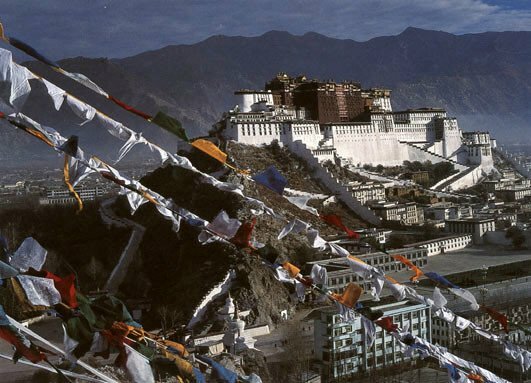 People want to visit Lhasa either because of its remoteness or its impressive heritage of over a thousand years of Tibetan culture and religion. Sandwiched by the colossal mountain ranges to the north and south and located on the north banks of the Lhasa River, Lhasa is the capital of the Tibet Autonomous Region of P.R.C. and also the center for Tibetan politics, economy, culture, and religion. Lhasa is rightly one of the most featured and dreamt-about cities in the world. This is not only because of its high altitude at 3,650 meters which means remoteness and limited accessibility, but also because of its over 1,000 years&apos; cultural and spiritual history which leaves an impressive heritage that has helped to Differing from the inland cities and other places in Tibet, Lhasa is unique with an allure all of its own. In the Tibetan language, Lhasa means the Holy Land or the Buddha Land. 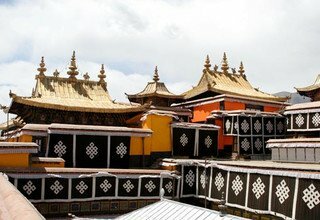 It is the center of Tibet&apos;s politics, economy and culture. The city has also been appointed as one of the 24 historical and cultural cities of China. 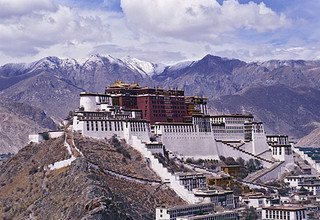 The splendor and grandeur of the Potala Palace in Lhasa remains a world-famous symbol of the enigmatic power of politics and religion in this region. Potala Palace creates the romantic and mysterious Tibetan religion. Generally the period from March to October is the best time to visit Tibet. Since Lhasa is located at such a high altitude it is wise to be prepared before starting your journey. Generally speaking, due to the large temperature differences during any given day in Tibet, warm clothes should be taken to keep away the cold. However, because it also receives a great deal of sunshine, sunglasses, suntan oil, and a sun hat are indispensable items if you&apos;re traveling anywhere in Tibet. We are specialized in Tibet organizing customize and package tours as per your travel requirements. With our proficient team work, we assure to dedicate the finest travel arrangements making your journey delightful and memorable. Day 01: Arrival in Kathmandu and meet our staff at the airport and transfer to Hotel. Welcome drink and short briefing about tour in Kathmandu, relax. Our tour guide introduces you to the world heritage sites such as Bouddhanath, Pasupatinath, Swayambhunath and Kathmandu Durbar Square by private vehicle. Stay overnight in Hotel. Transfer to the airport for scenic flight to Lhasa on China Southwest Airlines. This is one hour Trans Himalayan Flights will give you an opportunity to have an aerial and majestic view of the Mt. Everest and other high Himalayas ranges. After arrival at Gonggar airport, our English Speaking Tibetan Guide will receive you and transfer to Lhasa city on private coach which takes about 1/2 hours driving for 90 kilometers. Stay overnight in Hotel. Today is the first day of sightseeing starts from famous Potala Palace, a structure of massive portions. It takes about 2-3 hours to visit all places and chapels. In the afternoon, we will visit Jokhang Temple, Which is the spiritual center of Tibet. Every day, pilgrims from every corner of Tibet trek a long distance to the temple. The temple is the product of Han, Tibetan and Nepalese architectural techniques. After that we visit Bharkhor, the oldest street in a very traditional city in Tibet. Stay overnight in Hotel. Day 05: Sightseeing Trip in Lhasa City (Drepung Monastery, Norbulingka). About 10 kilometers west of central Lhasa is the Drepung, once world&apos;s largest monastery with about 10,000 monks. Today&apos;s sightseeing begins with these white monastic buildings piled up on the hillside. From the roof of hillside, you can have very good views of the whole Lhasa city and the distant mountains. After returning to the city for lunch we will go to the Norbulinka, the former summer palace of the Dalai Lama. Surrounded by a lush green garden, it&apos;s a favorite place for Tibetan people to celebrate their festivals. Stay overnight in Hotel. The morning is free to relax or to explore the small alleys in the old Tibetan part of Lhasa. In the afternoon, we will visit Sera monastery, 5km outside Lhasa, where we can watch the monks debating. They do this in a very special way by making all kinds of gestures with their hands and arms. Stay overnight in Hotel. This is the last day of our tour and we have to get up very early for our transfer to Gonggar airport to fly back to Kathmandu. We will arrive Kathmandu airport in the morning because of the 2 hours and 15 minutes time difference with Tibet. Of course we enjoy the spectacular views again while we fly over the Himalayan range. After arrive in Kathmandu airport, transfer to the Hotel in Kathmandu on private car. Stay overnight in Hotel. Day 08: More sightseeing of world heritage sites. Our tour guide can show you again some other world heritage sites; we actually have 7 of them only in the Kathmandu valley, like Bhaktapur Durbar Square and Patan Durbar Square. Stay overnight in Hotel. Day 09: After breakfast transfer to international Airport for final departure. * 4 Nights accommodation during the Tibet Tour (Guesthouse). * Flight ticket from Kathmandu-Lhasa-Kathmandu.